Like Paul Mccartney, if someone told me that the REAL Gary Numan died in the mid-eighties I would instant believe it! .. Maybee it was because of Tubeway´s Army´s bass player Paul Gardiner (Who Sadly died in 1984). Someone told me that he was the real genius behind these GREAT songs. As you can see, not many good songs/tracks came from Numan after the departure of Gardiner. 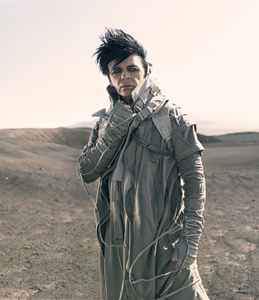 Last album he did with Numan was Assassin, I . .Which was the last GOOD album by Numan.. So many albums, but Numan has basically only put out 5 new studio albums in the last 20 years: Sacrifice (1994), Exile (1997), Pure (2000), Jagged (2006), and Dead Son Rising (2012).